Do you know of a scholarship or opportunity not listed here? Let us know! The First Tee program doesn’t just get kids on the course; it offers exciting opportunities for growth. With the help of The First Tee national corporate partners, more advanced participants can apply to attend these golf and leadership events. These events often become life-changing experiences. Youth meet new people, play golf, achieve greatness, and show our Nine Core Values in action. We are pleased to announce the schedule of participant opportunities conducted by the home office. As one of the leading chapters in the network, it has been a great honor of ours to have many of our participants here in Seattle selected for these opportunities. And we hope YOU are the next one to be selected! Since the inception of the scholarship program in 2008, Youth on Course has awarded more than $1,472,550 total to 221 students for higher education. To qualify, youth must be enrolled as a full-time senior in high school, have a minimum GPA of 3.0, have been accepted at a four-year college/university and be a Youth on Course member. All applicants must prove financial need and merit. You must be a high school senior, enrolled as a full-time student in an accredited high school with a minimum GPA of 3.0 and be a member of Youth on Course. You may sign up here. Scholarships are both need and merit based. You must be accepted for enrollment at a four-year college/university the same year the scholarship is awarded. Youth on Course members must apply (scholarship applications open January 7, 2019) by Monday, February 18 at 11:59pm PST. Once applications close, a review process will begin and applicants will be notified by March 13 if they need to schedule an interview. After interviews close, a final review process will take place and the 2019 Youth on Course scholarship recipients will be notified. The scholarship luncheon will be held in Oakland, CA in July. The Dinah Shore Scholarship was established in 1994 by The LPGA Foundation to honor the late Dinah Shore, a graduate of Vanderbilt University, a Hollywood entertainer, and an honorary member of the LPGA Tour Hall of Fame. The Dinah Shore Scholarship receives tremendous support from Kraft Foods, Inc., the Fund’s largest corporate donor, and the Kraft Nabisco Championship, one of the LPGA Tour’s four major championships. The Dinah Shore Scholarship is granted annually to a female high school senior who is pursuing a college education, but will not be playing collegiate golf. One $5,000 scholarship will be awarded in 2019. 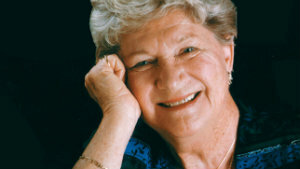 The Marilynn Smith Scholarship is granted annually through The LPGA Foundation and the Marilynn Smith Scholarship Fund. Established in 1999 by Marilynn with the proceeds of a golf tournament she organized, the objective of the Marilynn Smith Scholarship is to provide a scholarship to a female high school senior who has played golf in high school or in her community and is planning to play golf at an accredited college or university in the United States. The Marilynn Smith Scholarship will be awarded to high school seniors who will be playing golf at the collegiate level. Twenty $5,000 scholarships will be awarded in 2019 to the most highly-qualified candidates. The Phyllis G. Meekins Scholarship is granted annually through The LPGA Foundation and the Phyllis G. Meekins Scholarship Fund. 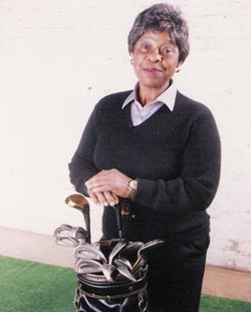 Established in 2006, the objective of the Phyllis G. Meekins Scholarship is to provide a need-based scholarship to a female high school senior from a recognized minority background who will be pursuing a full-time course of study and playing collegiate golf at an accredited college or university in the United States. The Phyllis G. Meekins Scholarship is a need-based award granted to a high school senior from a recognized minority background who will be playing golf at the collegiate level. Qualifications for all scholarships include strong academic programs, community service and recommendations. One $1,250 scholarship will be awarded in 2019. Each year, the Bill Dickey Scholarship Association (BDSA) offers up to $14,000 to help graduating high school seniors finance four years of undergraduate studies at an accredited American university of their choice. Qualified applicants must have participated in golf, have U.S. citizenship, exhibit financial need, be actively involved in community service, demonstrate leadership potential, maintain good academic achievement, and have strong golfing abilities. Established by the South Florida Section of the PGA in honor of an active member who captained the Challenge Cup team for six years, the Bobby Goodman Scholarship Grant is presented annually for $2,500 to a high school senior or college student in their freshman or sophomore year of undergraduate studies. To qualify, applicants must live in Florida, have played on their school’s golf team, possess a minimum overall GPA of 3.0, and be recommended by a PGA professional in the golf industry. In memory of an avid junior golfer who lost her life tragically from carbon monoxide poisoning at the youthful age of 12 years old, the Caitlin Brondolo Golf Scholarship is awarded each year for $2,500 to a female high school senior who has played golf throughout her schooling and is pursuing an accredited college education in America. Eligible applicants must plan to play competitive collegiate golf, have a minimum overall GPA of 3.5, and write a short personal essay describing how golf has shaped their life. In honor of his 13-year turf management career that was cut short unexpectedly after his passing at the Nissan Open in Pacific Palisades from a heart condition in 2003, the Drew Smith Memorial Scholarship is awarded for at least $1,000 each year through the Eastern Shore Association of Golf Course Superintendents (ESAGCS). Eligible candidates must be enrolled at least part-time in an accredited U.S. institution, have a declared major in turfgrass management, exhibit financial need, and write a 100-word statement illustrating their passion for golf. Annually, the Golf Course Superintendents Association of America (GCSAA) hosts a Scholars Competition to provide several scholarships for $500 to $6,000 apiece to currently enrolled full-time undergraduate students pursuing a major related to turf management. To apply, students should complete at least 24 college credits, receive GCSAA membership, provide proof of U.S. citizenship, submit a recommendation from a golf course superintendent they’ve worked for, and showcase strong academic achievement on an official college transcript. Sponsored by the National Italian American Foundation (NIAF) to honor one of golf’s champions who was the first to complete the “Grand Slam,” the Gene Sarazen Memorial Scholarship is presented yearly for $2,000 to Italian American undergraduate or graduate students to cut costs for tuition and/or university-provided room and board. Qualified candidates must be enrolled in an accredited U.S. institution, have a minimum GPA of 3.5, have at least one ancestor who immigrated from Italy, and exhibit a strong passion for the game of golf. Since being founded in 1986, the PGA Financial Assistance Scholarship Program has awarded over $5.7 million in funding to more than 2,800 students across America who are the children and grandchildren of PGA golfing professionals. For consideration, applicants must display financial need, be graduating high school seniors, carry a minimum overall GPA of 3.4, plan to enroll full-time at an accredited U.S. university in the upcoming fall, be actively involved in extra-curricular activities, and be pursuing an associate’s or bachelor’s degree. In memory of Sara Sheehan, a true golfer who possessed a lifelong passion for the game in good or ill health before passing away in 2011, the Sara Scholarship is awarded annually to provide $2,000 to 12 female high school seniors who have had some involvement with the sport of golf. Qualified applicants must enroll at an accredited university in the United States, demonstrate financial need, carry a minimum unweighted GPA of 3.1, submit one character reference letter, and show active involvement in golf regardless of skill level. Promoting the legacy of a champion amateur golfer, esteemed golf course architect, and innovative turf grass expert, the Walter J. Travis Memorial Scholarship provides $750 to four outstanding amateur college golfers who are currently enrolled full-time in an undergraduate or graduate program with a minimum GPA of 3.0. Qualified candidates must be pursuing a career in landscape design, golf course architecture, turf grass management, golf management, or sports journalism with an emphasis in golf. Since its inception 41 years ago, the Women’s Western Golf Foundation has awarded several scholarships for $8,000 annually for female graduating high school seniors who plan to enroll full-time at an accredited four-year college in the United States. Qualified candidates must show financial need, be actively involved in the sport of golf, carry a minimum overall GPA of 3.0, have U.S. citizenship, and write a 200-word personal statement describing their passion for playing golf.